Although fishing and related activities are looked after by GTA’s fishery department, the hill body’s tourism department has taken the initiative to promote angling tourism in the hills. The concept is new for the tourism sector of the Darjeeling hills. 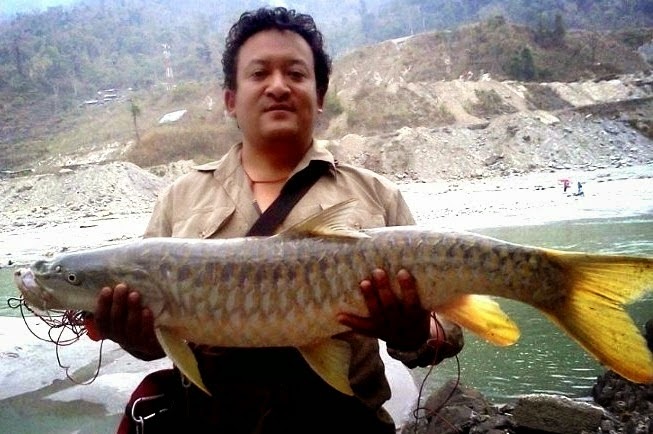 In March of this year, the GTA released fish hatchlings worth some Rs23 lakh in the confluences of the Teesta and Rangeet, Doban and Relli and Rambi as well as in the rivers of Mirik. They included the Golden Masher, Katla, Ashala and Sol varieties. chalking out ways to implement the law,” Pradhan said. It is very common in the hills for people to use dynamites, poison and electric current to catch fish in order to cut short the strenuous wait involved during fishing. “Using anything other than angling rods is dangerous. Our endeavour is to stop the practice of using dynamites, poison and electric current as they have long-term effects on fish and their breeding activities,” the extension officer said.